How often do you dispose of your hazardous and non-hazardous chemical wastes? Do you know how much time the federal and state authorities allow you to move it? Have you been inspected by officials recently and are you afraid of them visiting you? We find that generators of chemical wastes that get “visited” frequently are usually up to speed with regulations and storage containment periods. 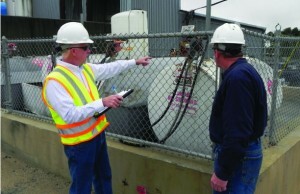 For the larger generators such as “Blue Chip” companies, it is not unusual for a “visit” or inspection to unveil violations due to huge quantities of wastes and multiple locations. These Blue Chips also have deep pockets and a $50,000 fine, while not desirable, is more acceptable as a cost of doing business. In New England, a costly violation such as this would probably shut most businesses down. Insurance might pick up the tab, but the newly assessed premium would be hard to swallow. Particularly hard in this era of awareness that every Safety Officer, Lab Manager, CEO, and loading dock supervisor has responsibility for. It is no longer acceptable to say “I didn’t know”. It may mean finding another job. Our business operates on the labor involved in packing and safely transporting your chemical wastes to proper Environmental Protection Agency (EPA) sanctioned storage and disposal facilities. We pack and personally drive your acids, bases, toxics, spontaneously combustibles, and water-reactives on MLi Environmental insured trucks. We do not broker out this service. We ship and are held responsible for what we take from your facility. Having been in business for over 15 years and competing against international vendors we have found our niche. Because while the “big boys” can pack and transport your waste, we focus on your real needs. Your “needs” are saving on your disposal costs by helping you manage your wastes. Our service pairs your manager with our chemists and office staff to derive safe solutions for your disposal needs. We minimize the opportunity for you to be penalized and fined by visiting and walking through your facility. We act as a non-biased third party entity that looks critically at your world through the eyes of OSHA, DOT, and EPA. We initialize a report that breaks down safety and operational errors and submit that to you for you to act on as you see fit. 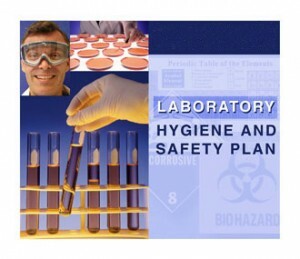 This Chemical Hygiene Report is the basis for many private company’s reduction of insurance liability premiums and a substantiation of greater disposal budgets. We list the issues we see in a particular space, and make recommendations for the correction. For instance, OSHA requires all eye wash stations to provide a constant stream of saline solution into your eye for at least 15 minutes. Many facilities have not changed to the new bigger stations claiming ignorance to this 4 year old requirement. This is the type of data we provide.